Angel & Devil laptop tattoos add a degree of hipness and originality, as well as protection. The days of the boring laptop are over. 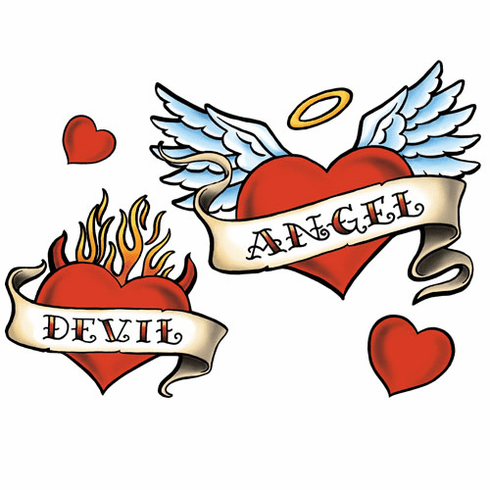 "Angel" and "Devil" tattoos with 2 smaller hearts; Smaller diecuts can decorate other items, too, like the back of a cell phone! Includes multiple diecut "tattoos"; Largest tattoo approx 7" wide; Patented 3M™ material is removable, repositionable and leaves no residue.